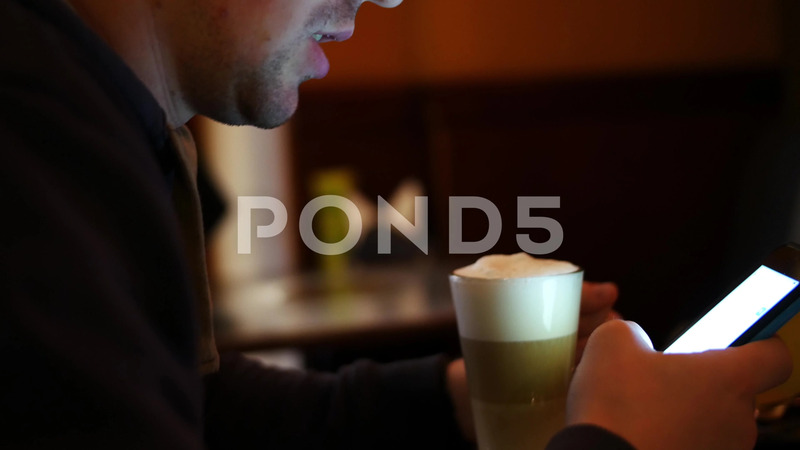 Description: Man sms texting using app on smart phone at cafe drinking coffee. Handsome young casual man using smartphone smiling happy sitting outdoors. Urban male in his 20s.